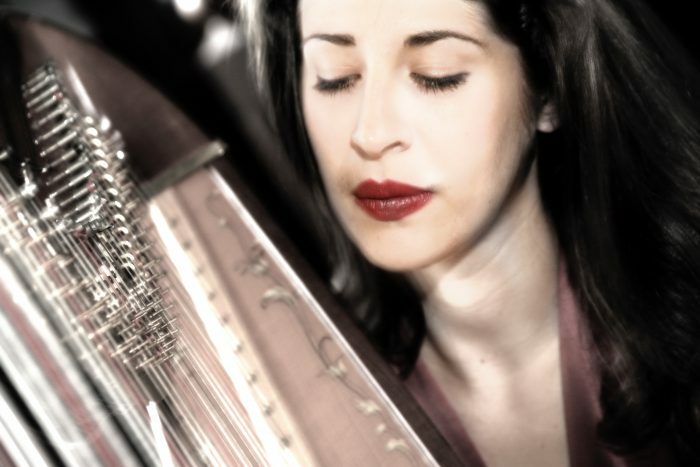 Vicky Lester joins the JCS and the Brandenburg Sinfonia on 5 April to add the harp’s unique contribution to our performance in St Martin in the Fields. Vicky will feature prominently in Debussy’s Danse Sacreé et Danse Profane, which has become a staple work in the concert harp repertoire as well as a fitting tribute to the composer in the centenary year of his death. Vicky will also be accompanying us in César Franck’s Panis Angelicus – in this performance the original instrumentation of Solo Cello, Harp and Organ is being used, but now with a new version of the choral element – and in the serene ending to Fauré’s Requiem. Vicky has given numerous performances in recitals and as a concerto soloist across the country. Recent highlights include Horror Stories with Harp at the Arundel Festival – an evening of harp music inspired by Edgar Allan Poe short stories – a performance of Ravel’s Introduction and Allegro in the same concert series, Britten’s A Ceremony of Carols at Westminster Cathedral and Rutter’s Dancing Day Suite at the Royal Albert Hall. As an orchestral harpist, Vicky has played with the CBSO, RPO, RSNO, Northern Ballet Sinfonia and BBC Scottish Symphony Orchestra as well as internationally with the Bergen Philharmonic Orchestra, Norway, and the Sonderborg Symphony Orchestra, Denmark. Vicky is also the regular harpist for the Olivier Award winning company ‘English Touring Opera’ and is currently playing in their 2018 Spring Season in the Puccini double bill of Il Tabarro and Gianni Schicchi. Vicky has been broadcast on Radio 3 and Classic FM, and has performed on television across a wide variety of programmes – including the Michael Buble BBC TV Special 2016, Strictly Come Dancing 2016 and 2017, Children In Need Rocks Manchester 2011, The Royal Variety Performance 2010 and the Princess Diana Memorial Concert 2007 – and has worked alongside artists from across the musical spectrum – Jonny Greenwood, Kanye West, Rudimental, Brian May, Gary Barlow, Elbow, Snow Patrol, Belle and Sebastian, Jessie J, Laura Mvula, Stacey Kent, The King Singers, Andrea Bocelli, Russell Watson, Katherine Jenkins, Lesley Garrett, Sir Willlard White, Sir Colin Davis and many more! Vicky is a graduate of the Royal Academy of Music where she attained a Masters degree in performance with distinction. Her studies at this level were generously supported by the Musicians Benevolent Fund and a ‘Star’ Award from the Countess of Munster Musical Trust. Prior to this she gained a BMus Honours degree from Edinburgh University, where she was awarded the Tovey Memorial Prize for Outstanding Musician of the Year and a Bucher-Fraser Scholarship.